There’s a good reason folks leave point-and-shoot digital cameras at home in a drawer most of the time these days. After all, iPhones take pictures matching or exceeding the quality of many standalone cameras, and smartphones offer cellular data connectivity from just about anywhere, so images can be shared as soon as they’re taken. Of course, if you want to spice things up by creating compilation videos instead of boring loved ones with hundreds of still photos, there are apps for that, but most require at least a passing knowledge of editing, not to mention the time it takes to put it all together. Life moves at a fast pace, and now your compilation videos can too in a matter of minutes with VideoSlam. 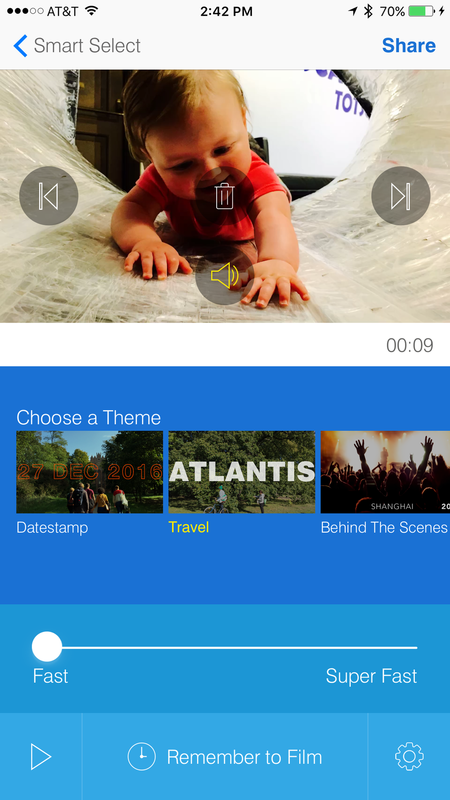 I recently took an app called VideoSlam (free at the App Store) for a spin, which aims to turn hours, days, weeks, or even months’ worth of videos and photos into share-friendly montages within minutes. While I found the app a little too basic for my needs, it definitely delivers on simplicity. VideoSlam makes it easy to assemble quick compilation videos using photos, home movies, or both from a predetermined time. VideoSlam works on the premise that users want to share a collection of photos and videos taken within a range of time. 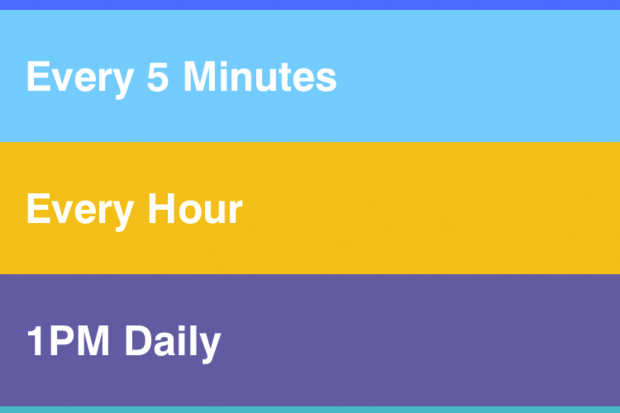 The app’s one-tap Smart Select feature collects content taken in the last 24 hours, the day before, the last week, this month, last month, three or six months ago, or the same month a year ago. 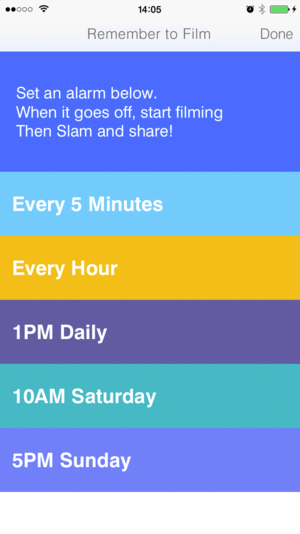 Other options include content shot today or within the last hour, and VideoSlam can be set up to remind you to shoot at designated intervals, or create video of an entire day’s Instagram posts, handy for frequent users of the photo-centric social network. The app can also turn an entire album’s worth of content into a video. VideoSlam plays nice with iCloud Photo Library, offering the option to download or skip photos and videos that haven’t been downloaded to the device. 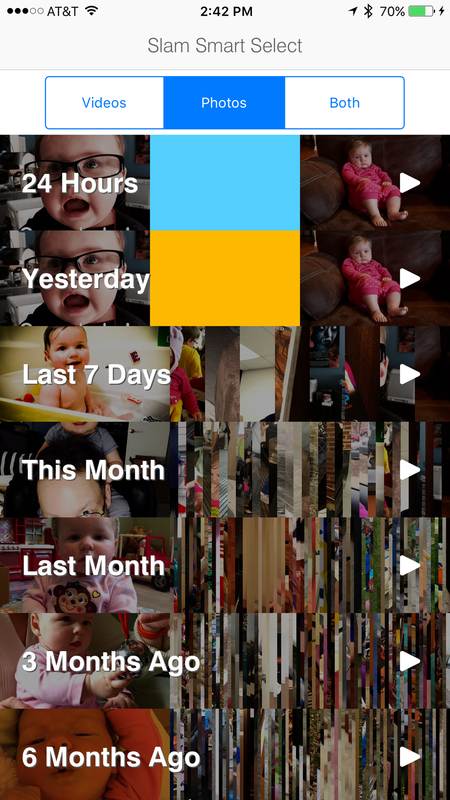 VideoSlam’s “edit” mode requires in-app purchase, and is really more about removing photos and videos you don’t want. One aspect where users do have a degree of control is the speed at which VideoSlam plays back the resulting video montage. By default, the app paces content between Fast and Super Fast, which you can slow down or speed up by moving the on-screen slider. I found even the slowest setting to be too fast, so users looking for compilations with a leisurely pace will want to look elsewhere. The bigger problem is there’s no control at all over how photos are composed in the final video. Even with the Slam Edit feature unlocked, users can’t reposition images within the frame, particularly disappointing for vertical shots that wind up with heads cut off. Likewise, you can’t pick and choose which segments of your videos will appear in the finished movie. There’s also no way to manually select or rearrange content, short of creating a new album in iOS Photos with photos and videos in the desired order first. Assuming you’ve unlocked Slam Edit, it’s easy enough to remove content while in edit mode by tapping the trash icon to remove the current clip. On the plus side, VideoSlam produces 1920x1080 24p HD videos of reasonable quality, although smaller export options also would be welcome. Otherwise, the free version is pretty limiting, so I recommend downloading only if you’re willing to invest $4 to unlock everything the app has to offer. VideoSlam takes the K.I.S.S. (Keep It Simple, Stupid) approach a little too literally, but if you want effortless, quick compilation videos that can be made in under two minutes flat, it’s worth a look. 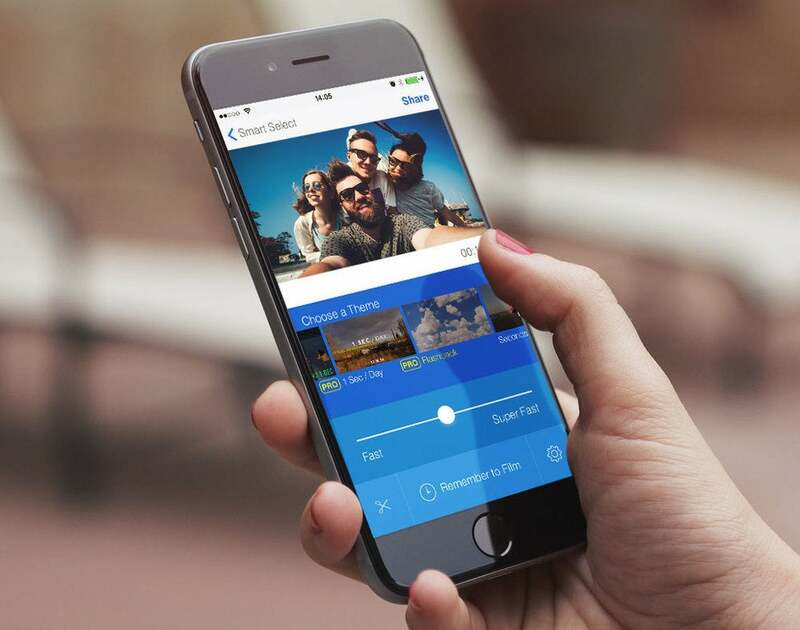 VideoSlam turns iPhone photos and videos into short, fast-paced compilations of shareable memories that can be instantly shared with friends or loved ones.